We are giving 1 sleeve of ball for each customer that leaves a review on our Google Places listing. Either leave a review on our Nanaimo, or Vancouver listing on Google. You may need a gmail account to leave a review. Balls are limited on per customer, no matter how many reviews you make, you only get on sleeve of balls. You may only recieve the sleeve of balls (3 in a sleeve) at one of our “brick and mortar” stores. 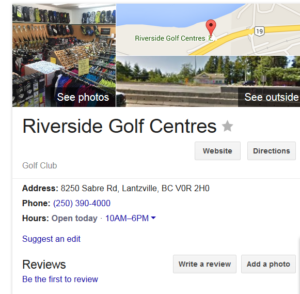 You must provide proof of your review, by showing us your review on our Google Business/Places page. We will not ship sleeves of balls to anyone.